So I mentioned this cake eyeliner a few days ago. I bought mine on eBay for £1.95, I’m sure I’ve seen some Stargazer products in Superdrug, but I’m not sure if they stock the cake eyeliners. Stargazer seems to be a bit of a Raver/Goth/Emo alternative cosmetics brand, with neons and bold colours featuring heavily in their range. The eyeliner comes in an unassuming little pot, which although plastic, feels quite solid and sturdy. 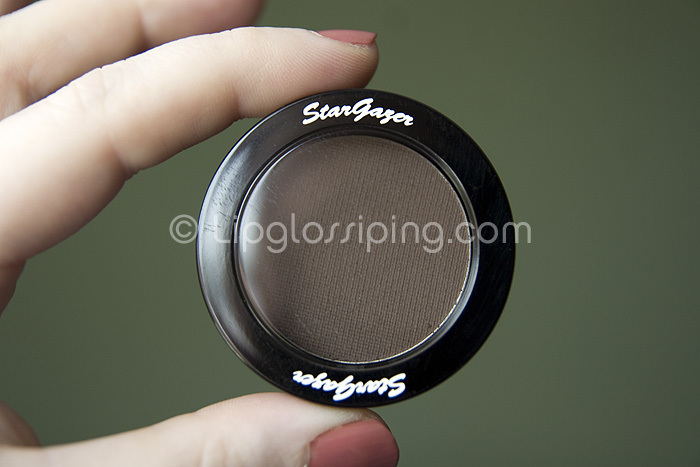 ‘Cos I’m so boring, I bought the brown shade. You can choose from: Blue, Silver, Violet, Gold, Black, Red, Pink, Grey, Green and White. Once you wet your eyeliner brush (either in water or a mixing medium of your choice) – swipe it across the pan to pick up some colour and get painting! 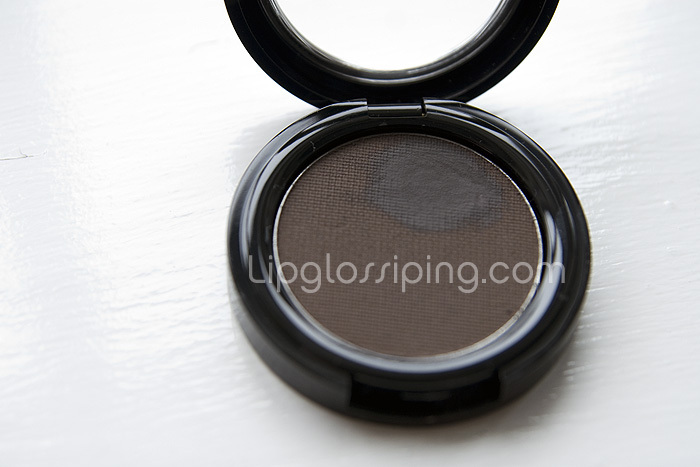 It’s really well pigmented – and once dry, simply doesn’t budge off my eyelids. This wouldn’t be any good for waterlines though as it doesn’t take too much water to make it disappear into thin air. But for the upper eyelid this is a fab bargain find! It glides on super smoothly (it’s like painting with a watercolour). Out of all my solid liners (gel types) this one allows me to get the most precise line thanks to it’s fluidity. It dries very quickly and I usually go over a couple more times to build up the pigmentation a touch before the brush dries. It can be a little tricky to ensure that the second coat doesn’t ‘dilute’ the first colour-wise. However, I’ve found that as long as I work fairly quickly and don’t keep re-wetting my brush then I can get VERY strong pigmentation, but it’s a case of trial and error. I’ve got my sights set on the other colours now. 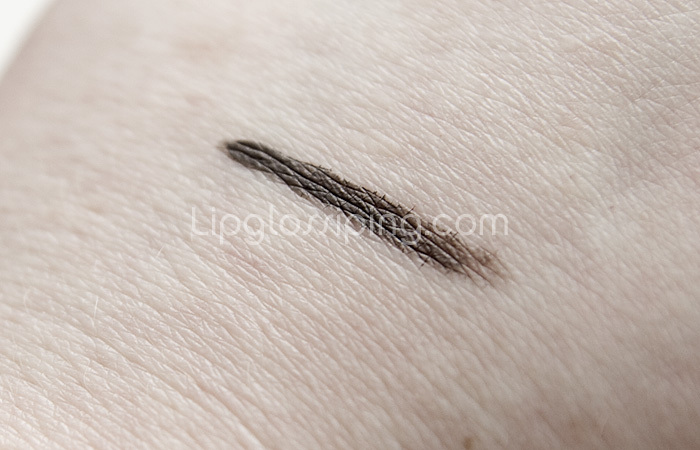 Staying power is really great, I thought that seeing as it’s just a powder/water combination that it may crack and flake by the end of the day – which is a regular problem I have with cheaper liquid liners – not so here! I’ve only ever mixed water with the liner and haven’t experienced any flaking so far. For the price, I’m not sure these can really be beaten. Grab them all! P.S. I’ve got Blinc Mascara on in these shots.